On the eve of Saint Patrick’s day I headed back to a city I use to call home for a short stint of my life. Being able to see two shows at the Mercury Ballroom before I was extremely excited to step foot in the city to cover my first show in Louisville, KY. The Living Proof Tour made its way to Kentucky on March 16th (minus Our Last Night) and the STACKED along side support from Cincinnati locals, Big Smile, line up still brought out a sold out crowd! The main reason for my travels though was to FINALLY cover Upstate New York’s, State Champs. Seeing them for the first time in about four years, the band showed amazing growth, maturity and stardom, which is parallel to all their album releases. As this band does more they always top the last thing they have done. The show was full of energy on stage and in the crowd, giving fans an AWESOME set of new and old making sure each fan heard the tracks they wanted. Voices echoed through the two story venue as crowd surfers rushed the stage. (I even put my camera down to drag in a couple crowd surfers.) Though the energy was off the walls for every other band on the tour (The Dangerous Summer & Grayscale) it was clear who the main event was. 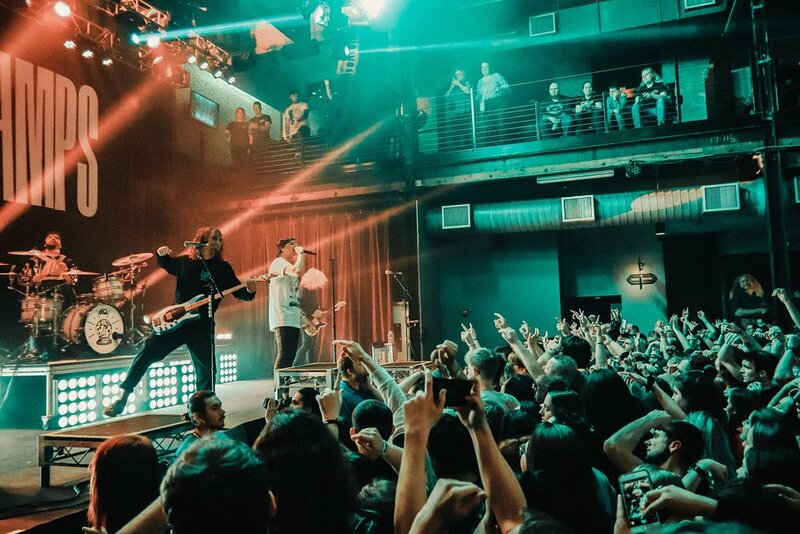 After being forced to cancel a date in the city on their last tour, State Champs more than made it up to their fans and left the Louisville crowd buzzing for more. If the remaining dates of the Living Proof Tour is coming to a city near you, we highly recommend you make it out to the show at all costs.